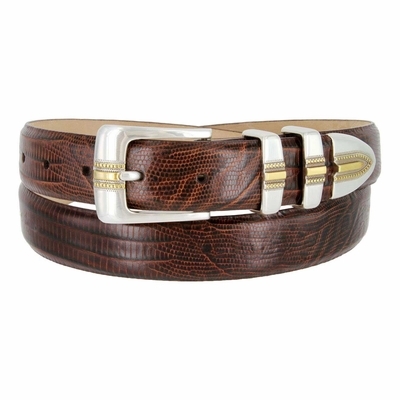 Sterling silver Accented with gold rope Four piece buckle set shown on a Fine Italian Alligator embossed Calfskin strap. lined with soft Genuine Leather. 1 1/8" wide. Sizes Available from 32" thru 54".